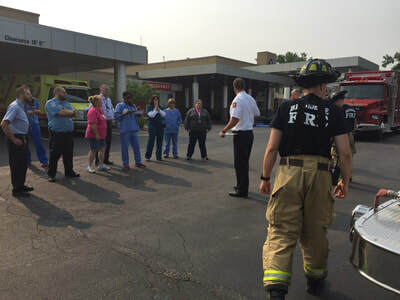 On June 20th, 2018 Stephanie Kuschel from Mercyhealth presented a draft of the proposed Mass Casualty Incident Plan. This document is in its second round of revisions. Please submit any requests for revisions by July 20, 2018 to Stephanie at skuschel@mhemail.org. The Northwest Illinois Preparedness and Response Coalition is a network of emergency management agencies, local health departments, healthcare organizations, local businesses, non-profit and mutual-aid organizations, and providers who are committed to increased planning, response, and recovery of a natural or man-made emergent event. For more information contact your local hospital emergency preparedness coordinator, county emergency management agency, local health department, or NIPARC co-chair Stephanie Kushel. 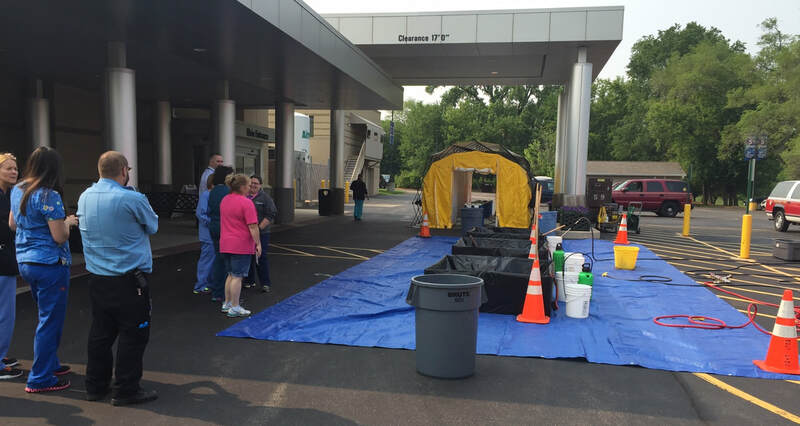 SwedishAmerican Hospital in Rockford, SwedishAmerican Medical Center in Belvidere, and the SwedishAmerican Managed Service Organization Clinics have proactively taken steps to anticipate, mitigate, and prepare for disasters in our area. Hospital employees can find the complete Emergency Management plan on the HUB. SwedishAmerican staff participate in preparedness efforts such as training for radiological and chemical decontamination and situations that may include a high influx of patients. Drills and training are conducted with our community partners and on a hospital unit-by-unit basis. For more information contact Tom Pratt, SwedishAmerican's Emergency Management Manager.